The National Science Foundation has awarded $20 million to academic and research institutions across Missouri to study climate change. Part of the NSF grant will be used to study the effects of drought on plants, in particular corn. This image shows leaves of a single species of plant (not corn), grown under normal and drought conditions. 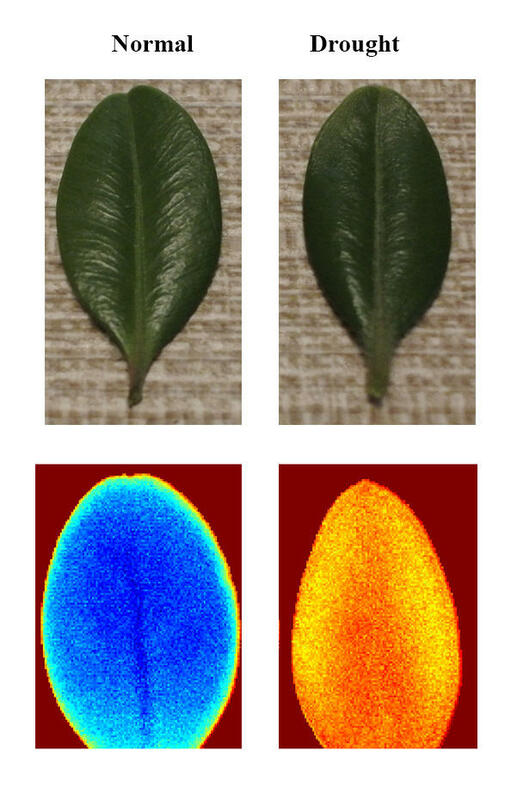 An infrared scan can detect chemical changes in the drought-stressed leaf that are invisible to the human eye. Five states, plus the U.S. Virgin Islands, have received one of the NSF’s Experimental Program to Stimulate Competitive Research (EPSCoR) grants. In Missouri, the five-year grant will go to nine institutions, including five in St. Louis: the University of Missouri-Columbia; the Missouri University of Science and Technology in Rolla; the University of Missouri-Kansas City; Lincoln University in Jefferson City; the Donald Danforth Plant Science Center; Washington University; the University of Missouri-St. Louis; Saint Louis University; and the Saint Louis Science Center. John Walker, a plant biologist at the University of Missouri-Columbia, is leading the statewide study. Walker said researchers from different institutions will work together in teams focusing on climate, plants, human communities and education. Projects will range from developing drought-tolerant crops, to helping communities respond better to climate change. Here's a breakdown of how the funding will be distributed over the five years of the project, as provided by Walker. The numbers don't quite add up to $20 million because they've been rounded off. The education team is headed by Terry Woodford-Thomas at the Donald Danforth Plant Science Center. Among the education-related projects will be a summer institute, or workshop, designed to introduce young women to bioinformatics: how to use computers to analyze large, complex biological datasets. It’s a field that doesn’t have a lot of women now. Woodford-Thomas said another project will use citizen scientists to study the flux of carbon dioxide from soils. 'Temperature Rising': Will Climate Change Bring More Extreme Weather? According to the historical record dating back to 1895, 2012 was the hottest year this country has ever seen. But it's not just that the temperature has risen — from deadly tornadoes to the widespread coastal damage inflicted by Superstorm Sandy, we seem to be living through a period of intensified and heightened weather extremes. 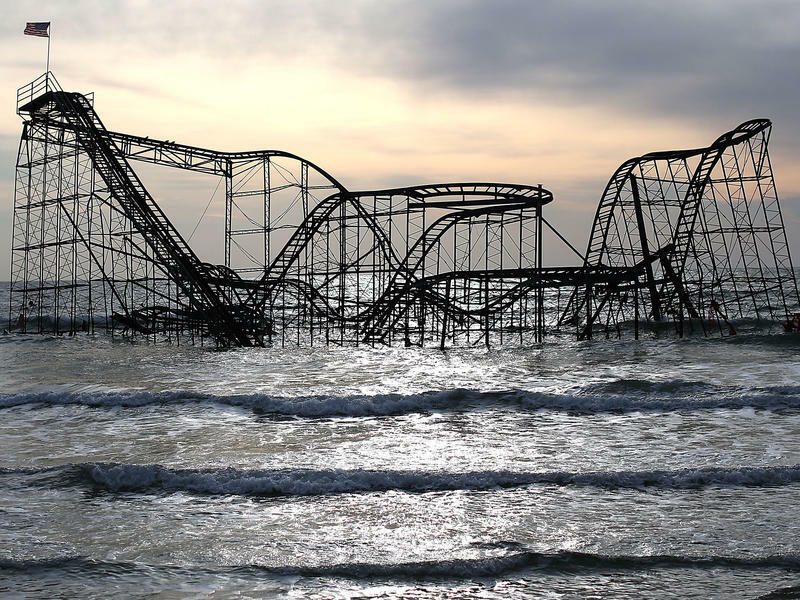 2013: A Tipping Year For Climate Change? This year's extreme weather was one for the record books; 2012 is slated to be the hottest summer on record. 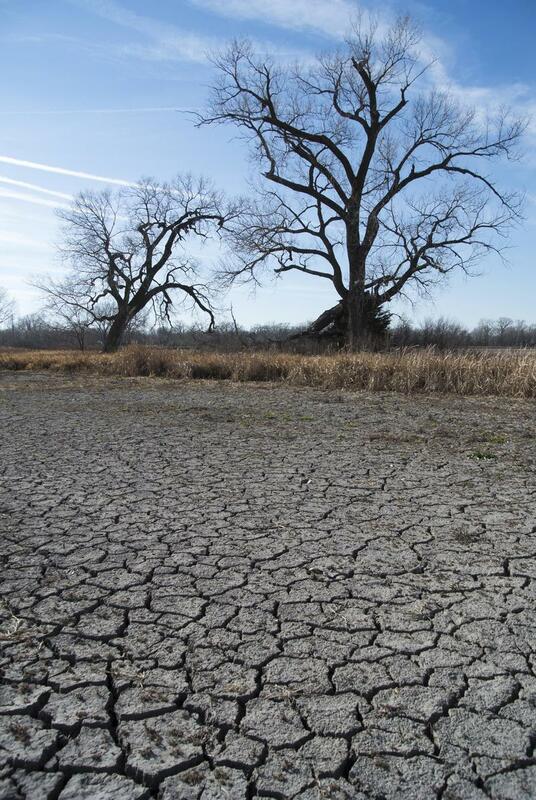 The worst drought in 50 years struck the South and Midwest, devastating the U.S. agriculture industry. Deadly floods and superstorms paralyzed the northeast and other parts of the country. While the public is in shock by extreme weather events that have taken place, environmentalist Bill McKibben and other members of the science community say it is a result of climate change.